USER SCORE:66%The percentage of users who liked this based on high quality reviews from sources such as Google Play, iTunes, and Amazon Music. Above 75% is green. ? 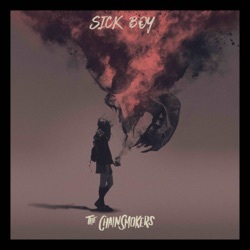 Sick Boy is the second studio album by The Chainsmokers, released by Columbia Records on December 14, 2018. Given the self-loathing and stylistic anonymity of Sick Boy at large, it’s enough to suggest that maybe the Chainsmokers are starting to get sick of themselves, too. At the heart of it all, this set is dark, sometimes exciting, and a step in the right direction for the immensely popular but critically maligned duo. A torrent of spew-inducing self-pity. New song "Hope" Is FIRE! Loving the new song. Huge fan of you guys, but my only wish was that this "new" album was full of brand new songs. We've been playing most of these songs all year round. Sick Boy era has been done with. And PS. Despite what some say, I Love Andrews vocals. Sounds so smooth, especially on the new song. Amazing! I’ve been a Chainsmokers fan since their first songs and albums, and I can confidently say that this is the best album you’ll ever hear!! It’s so good! !